When most people think of blueberries, they don't typically associate them with savory dishes but that's what makes the blueberry so special! You can use blueberries in salads, salsa (like the recipe our receptionist made last year), and now pizza! 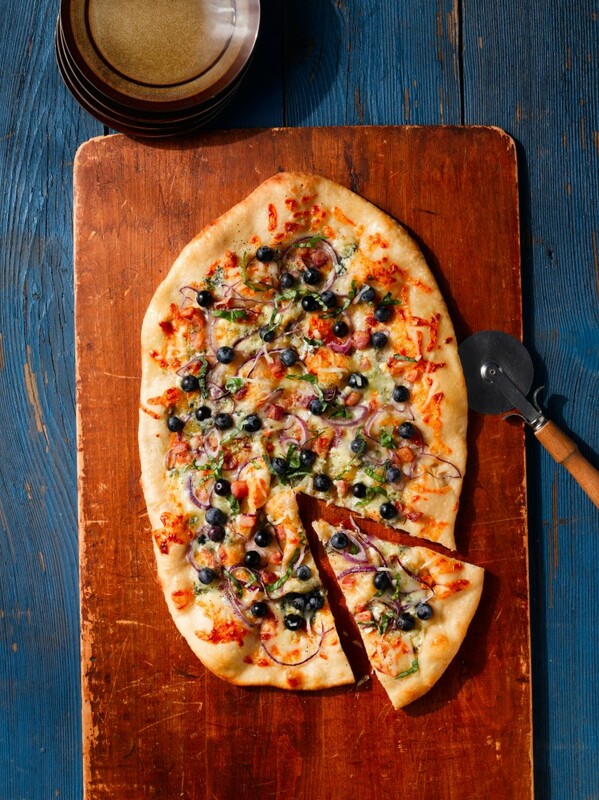 This homemade pizza recipe calls for some delicious cheeses, pancetta, basil, and blueberries! What's not to like? As a bonus, homemade pizza is a fun way to get the whole family involved in making dinner and it's the perfect Friday night movie food! Get the entire recipe from USHBC's website. Do you have a favorite savory blueberry recipe? Please share with us and it could be featured on the blog!